« Show Your Support for Cycling on Monday, April 15th! Come out to Jane’s Ride starting at 1 PM from Friendship Square! 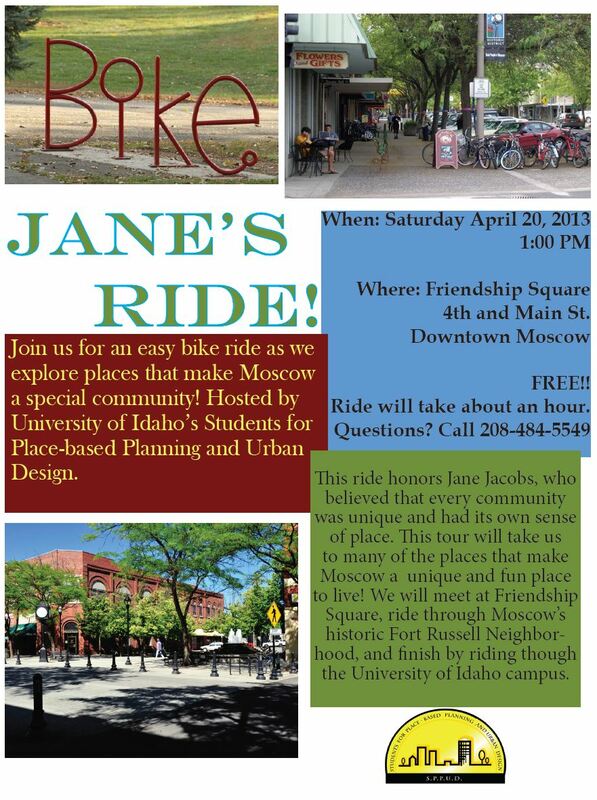 We will be taking a leisurely bike ride around Moscow and the University of Idaho campus, stopping and interesting, historic sites along the way! Led by members of Students for Place-based Planning and Urban Design.